Squash House Quilts: More Fine Visitors! I'll bet one of those things landing on your roof would make quite a thump. I think you need a security camera set up in your yard so as not to miss all else going on out there. I always get so excited to see the wild turkeys too. Last summer we were sitting on the front porch at dusk and an entire flock of them trooped through the front lawn! A couple dozen at least. Even the dogs were too amazed to bark! 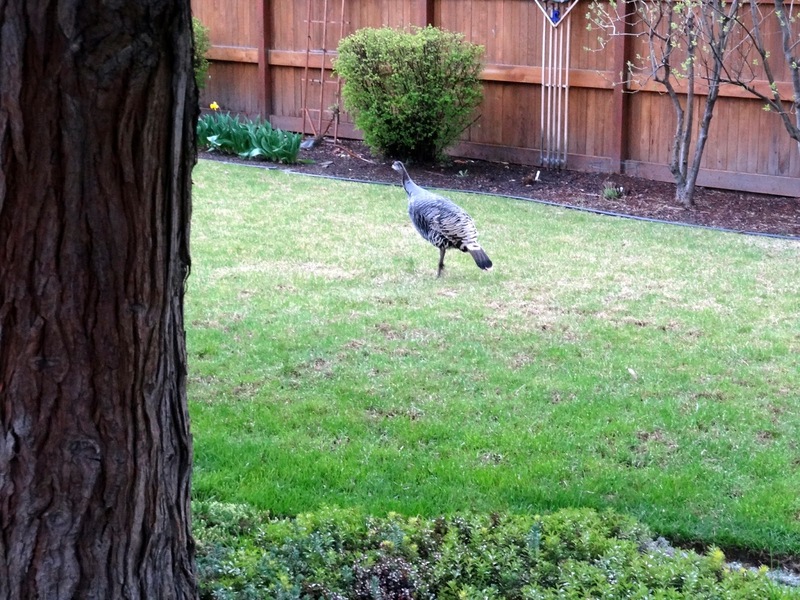 I have never seen this before...wild turkeys look very much at home in your yard...you have some great pictures! Man that is so awesome. I guess they know Thanksgiving is a long way off so they're safe, huh. Our kids in Nine Mile Falls have a lot of wild turkeys, but they're way out in the boonies, I'm amazed you got them at your house and it's so cool that you got pictures. Hugs!! You just never know what you might find in your yard! 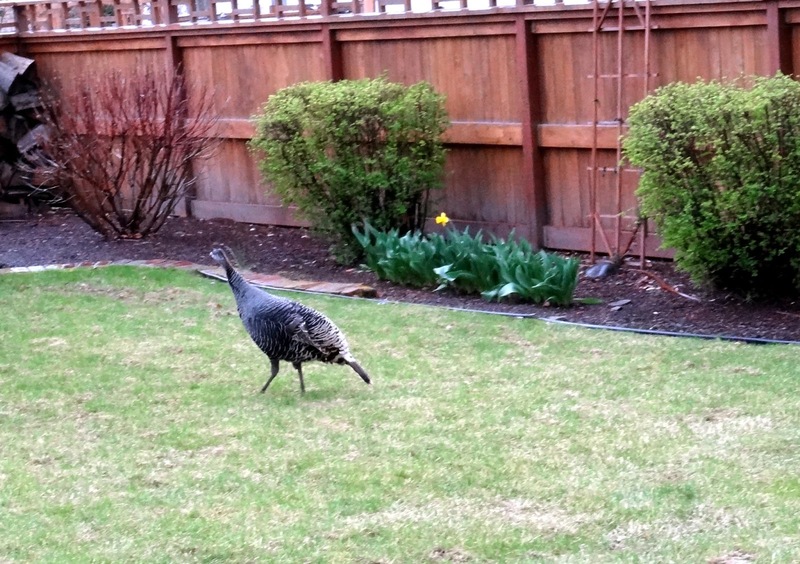 What a lovely treat to have that pair of Turkeys visit your yard. Oh My Word! Candace, you have quite the wildlife in your garden. It looks as if you have already been doing some post-winter clean up in the beds. You have the most beautiful Squash House. Love those turkeys. We have a lot around the edges of town, but I've never seen them in the neighborhood here. 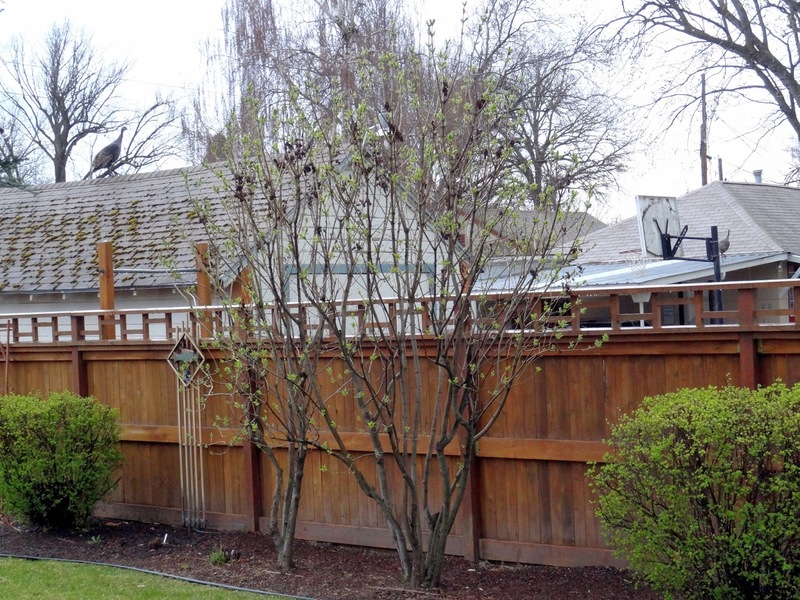 In Pleasanton they're in the neighborhoods at the edge of town, would love to see that. You have the most interesting guests! I'd love to have heard you talking turkey with Tom! "Everything's big in America!" You have such big birds visiting your garden. Our biggest bird guest is the pheasant, and next come crows and magpies. You live an exciting life! 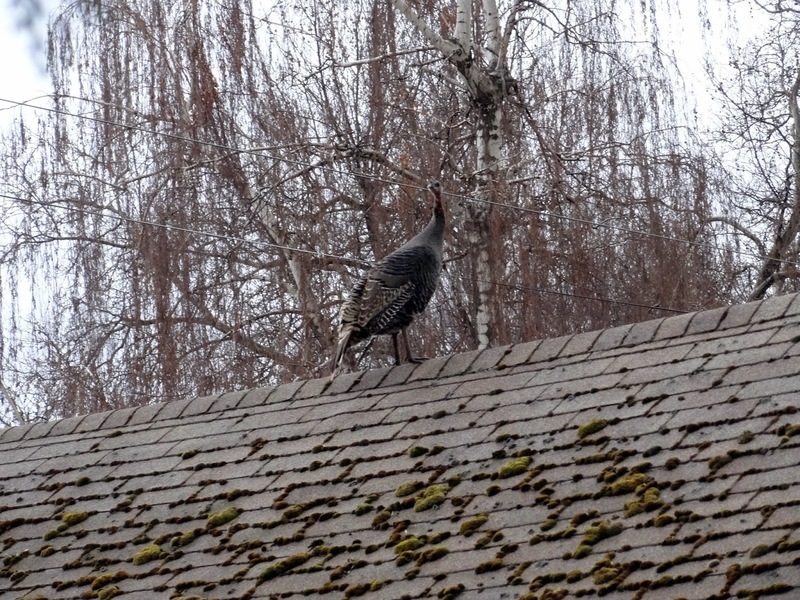 that is so funny to see the turkey on the roof.